Vinyl Replacement Windows are an excellent choice for replacement windows mainly because of their price and energy efficiency. The windows are made from polyvinyl chloride (PVC), which has a high R-value. This provides a significant amount of insulation, which will help to cut your energy costs. Lower Energy Costs – Vinyl windows help to keep the heat out during the summer and the heat in during the winter using Low-E insulating double-pane or triple pane glass, which means you’ll be using less heating and air conditioning thereby lowering your energy bills. Maintenance – Vinyl windows are virtually maintenance free. They are scratch free, never have to be painted and can be easily cleaned with soap and water. They don’t age as fast as other windows because they are resistant to the elements; consequently, they look better longer. Cost – We carry multiple lines to fit your budget from high end to builder’s grade. Superior Construction – Frames are made using a multi chambered design, which provides the strength needed to last many years. 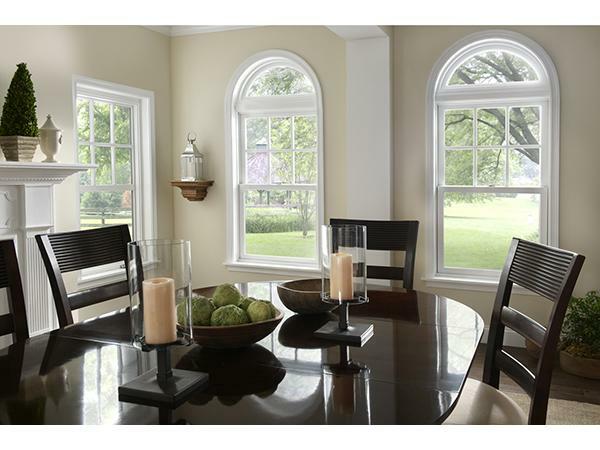 Variety – Vinyl windows are available in many different sizes, colors and styles. 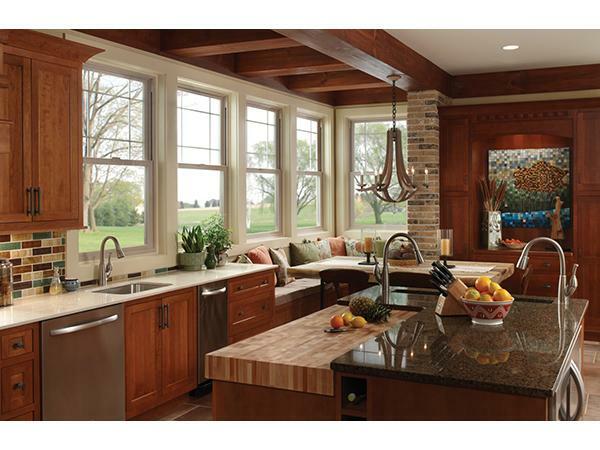 You can choose from double-hung, single-hung, sliding, fixed and bay windows.